At the behest of politicians, educators nationwide have been told to view students as statistics, not as individuals, and to view the purpose of the educational enterprise as raising test scores rather than developing capable minds . While I was taking a survey today about Response to Intervention (RTI) I began to reflect about how RTI and Data-Driven Instruction have affected my school. In the past few years, I have noticed teachers becoming overwhelmingly stressed about Standardized State Tests. Teachers feel like they don't have enough time to lesson-plan in order to appropriately meet the needs of their students. Moreover, teachers feel that the precious planning-time in which they do get is being wasted during team meetings and other scheduled events. Teachers are becoming depressed because they are feeling like they are doing their students a disservice by "teaching to the tests" and there isn't anything that they can do about it. This unfortunately creates an extremely negative atmosphere that is contagious to all valued stake-holders in a school system. The saddest part about this story, is that the educators in my building, are all exceptional, highly-qualified teachers that have been forced to teach students in a way that will prepare them to be successful on State Standardized Tests, rather than preparing them to become successful, contributing citizens. Public school teachers across the nation are battling this problem everyday. However, I believe that I have a solution to this problem. I am suggesting that the solution to the education reform that teachers are looking for, could quite possibly be ... Project-Based Learning. With Project-Based Learning, teachers will be able to successfully teach the state and national standards with low stress, and high productivity. In order to show how PBL might be the solution to Education Reform, I have provided some FAQs that I have created about Project-Based Learning. Q: I teach in a Data-Driven school where we use RTI. 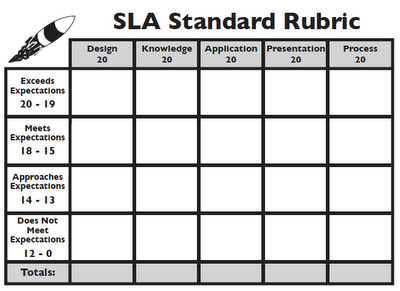 How can I use PBL to collect data? A: Suggest to your administration that you would like to try being data-informed rather than data-driven. "In schools that are data-informed, test results are just one more piece of information that can be helpful in determining future directions" . If students are engaged in PBL, they can begin creating an ePortfolio in order to demonstrate their learning and understanding of standards, rather than testing for them. Q: How can I effectively differentiate to ensure that I am appropriately challenging ALL of my students? A: When teachers integrate Project-Based Teaching, they are providing the opportunity for differentiated learning, rather than differentiated instruction. "Differentiated learning shifts the responsibility for the learning to the learner (where it belongs)" . With that we are truly supporting students in personal mastery in a way that differentiates learning, meets their goals, enables them to own the learning, and prepares them for success in life" . 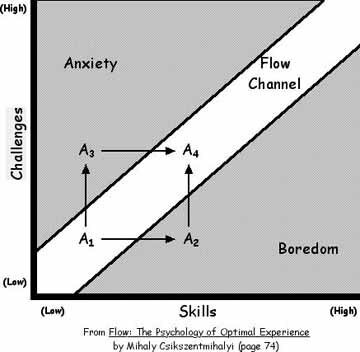 This Flow Channel Graph  helps to show how students need to be appropriately challenged. With PBL, students are empowered to work at their own pace and ability level which provides them with the opportunity to challenge themselves. Students will instinctively follow the "Flow Channel" when they take ownership of their learning. Q: How do I effectively assess my students? A: Assessing students on their projects has never been easier. 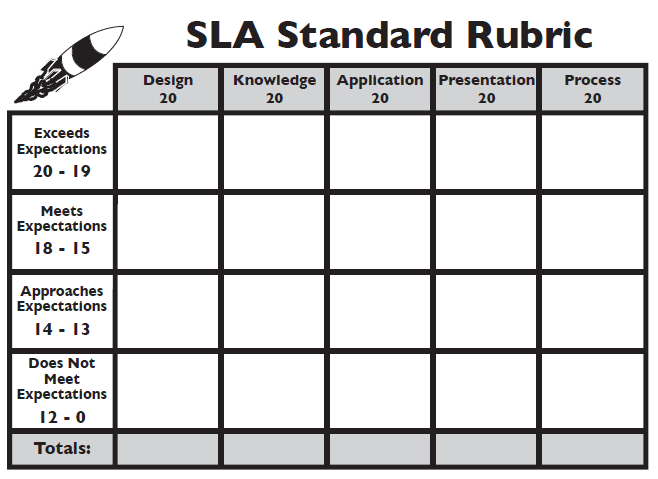 Using a Rubric like the one below, allows students to know what is expected of them, and it gives them structure for their project. It is important for the teacher to explain the expectations of the project in detail, so that students are fully aware of how they will be graded. It is also a good idea to show an example and a non-example of a good project. Q: What types of projects can students create to show concept mastery? 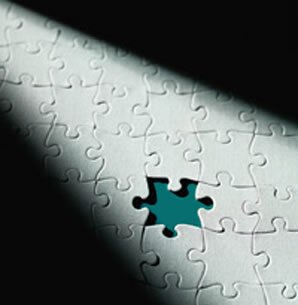 A: Students can create a project using any of the Eight Multiple Intelligences. Below are some suggestions for projects. "Students could meet standards at their own pace, in their own way and learning could be differentiated and aligned to each child’s talents, passions, interests, and abilities" . Project-Based Learning also beautifully integrates The Arts into education. Q: How can I ensure my students are attaining concept mastery? A: I have developed a simple step-by-step process to ensure that students are attaining concept mastery. Students are presented with a State Standard or Multiple State Standards to which they will be learning. Students are empowered with the responsibility of mastering the Standard(s). Students document their learning process via a KWLA Worksheet. Students demonstrate their learning and understanding via the product of their project. Students share their work via a presentation, and/or online-publishing. Students reflect on their process via Reflection Questions provided by the teacher. Q: How can I be confident that my students will do well on Standardized Tests? A: Since you will be engaged in best-practice teaching, students will be engaged in best-practice learning. Having students create and share these projects will allow for the deepest understanding of the content. Evaluation or Creation is at the top level of Bloom's Taxonomy, which means that students are attaining the highest level of concept mastery by creating these projects. Students will no longer have to "memorize" or try to "remember" the information ... because they will have learned it. Q: What about my struggling readers? A: It is ultimately the teacher's responsibility to provide resources that are appropriate for his or her students' reading level. Google makes this easy for teachers. Google Advanced Search allows students to search the internet using a beginner, intermediate, or advanced reading level. In addition, Google Advanced Search also allows students to search within a specific language. Students who are ELL can also research information in English and use Google Translate to translate the text into his or her primary language. Therefore, students should be able to perform research on any topic at their appropriate reading level. For more information on how to perfect your Google Search, vist my blog post, "Why Do I Have To Memorize This When I Can Just Google It?" Q: What about my students with IEPs? A: Students who receive special services typically thrive in PBL projects. Just be sure to provide the necessary accommodations when needed. Q: How much planning will I have to do to meet all the needs of my students? A: The best part about PBL is that there is very little planning involved. This is because the teacher is letting go of control by allowing the students to take ownership of their learning. Lisa Nielsen once said, "I realized that when teachers gave up control and empowered students to use the tools they want and meet learning goals in the way they choose, then true differentiation could begin and it wasn’t all on the shoulders of the teacher to figure out how to do this . However, teachers will still have to prepare the necessary materials and resources for each lesson. Q: What does an example of a PBL Project look like? A: See below: This student-created presentation is an example of my students creating a song about the Scientific Method in order to show concept mastery. Q: What are some tools and resources that my students can use to create their projects? A: Click on the link to access My Top Free PBL Resources. Q: What if my school has limited technology resources? A: Technology does not have to be integrated in order for PBL to be successful. Students can easily create skits, posters, children's books, songs, etc. without the use of technology. In addition, the teacher should acquire a plethora of books, on multiple reading levels, with information on the topic of the standard(s). If technology devices are present, but scarce, groups of 4 or 5 students can be created to maximize the use of technology. Consider Getting Ahead of the Technology Curve with BYOD for more ideas on integrating technology in the classroom. Q: I understand how PBL applies to all other subjects, but how does it apply to math? A: See Below: Here is an example of how to use a paper-slide video for digital storytelling in the content area of MATH! Q: What if I can identify a problem in which PBL is not the answer? A: Please comment on this post if you can identify a problem in which PBL is not the answer, or if you have a question about PBL. This will help me to continue my research and application. Thank you! For an excellent list of more resources for PBL,vist my blog post: My Top Free Online Tools and Resources for PBL. It all sounds good except what I really want most is for student interest to drive learning... You talk about challenging students, but I haven't seen an open slot for kids to choose their challenge.